To foster a sense of values and create awareness towards national and social issues within their chosen career option. 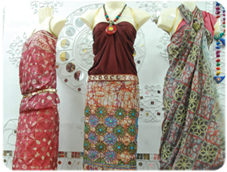 This two year course in Textile Design enjoys high credibility within the industry. 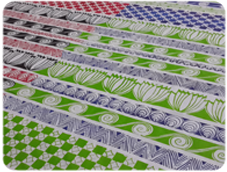 It also offers Computer Aided Textile Designing. Students are given exposure to the latest technological advances, by inviting pioneers in the field of Garment and home linen industry. 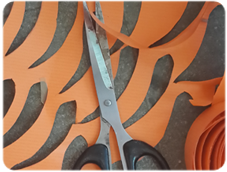 Regular workshops are conducted by master-craftsmen of various disciplines along with project assignments. This helps in creating awareness of the latest trends and technologies. And opens up new horizons for students at an interactive level. 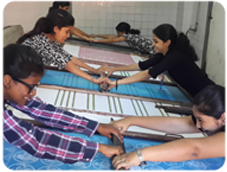 This course in Textile Design also conducts regular workshops for its students in collaboration with: The Textile Association of India, Weavers Service Centre, educational institutions like V.J.T.I. & I.C.T. 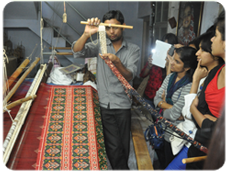 Annual study tours are organized to textiles and handicraft centres and allied places. Through the year value education classes in ethics are conducted for all students who are also encouraged to participate in annual competitions: essay writing, book review, expression in any art form competitions. The students efforts are put on display at the Annual Exhibition of the Sophia Polytechnic which is held at the end of February each year. The exhibition is well attended and judged by professionals from the field of textiles & design and is a great showcase of the students' work through the year. It is a platform for the graduating students to display their individual designer collection. 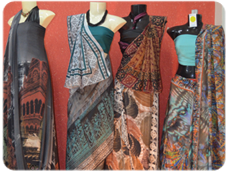 Students of Textile Design are encouraged and assisted in participating in competitions at a State level to raise their standards of excellence. A competition that students vie for is: The State Art Exhibition. Professionals from the creative and professional fields are invited to judge the annual work of the students in order to give them a competitive edge.